I woke up the other day and realized that I have been a resident of France for six years. To be fair, this moment of realization happened while sitting at the prefecture and was required information for multiple legal documents, so it was in my best interest to get the math right. Many moons ago, I made the move to Paris under the guise of a year's free room and board in a pretty nice part of town. There was talk of a few paid vacations and very little actual work necessary. For the low, low price of a one-way ticket to CDG (and the promise to babysit nights and weekends), I signed up for a year abroad. I was young, I was bored, and I was thirsty for adventure. Never one to shy away from challenges, coupled with a tendency to always make things more complicated, I decided a new life was fresh for the taking. No simple relocation to New York, or even a bicoastal move to L.A. would suffice. Paris or bust. A year turned into two, which turned into four, and here I find myself, with no plans to leave. People often ask me how I feel and how I managed to make it this far when so many of the friends I made in that magical first year have come and gone. Naively jumping the hurdles of life abroad, aimlessly wondering and accepting as fact that everything would work out. Very few people truly understand what life abroad is like. The first year is liberating, because living out of two large suitcases and using them as a makeshift dining table leaves you few options. The only way to survive is to lean into the absurdity of struggling to covert square meters into feet, then reluctantly pretending that you're not sure, in an effort to remain sane, all while avoiding the awful truth that you've just flown X thousands of miles to call 96 square feet home. Google searches will tell you that this is what the Americans call "micro apartments." You make due and go out as often as possible, saying yes to any occasion. 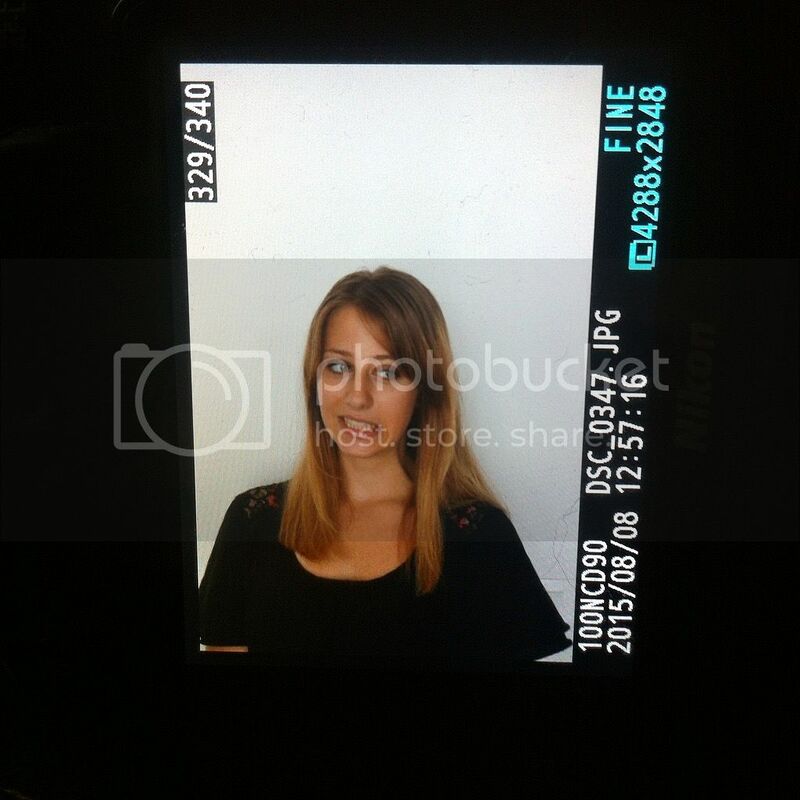 The goal is to meet as many people as you can, preferable French, but the discomfort of not being able to vocalize your needs leaves you with a hodgepodge of Anglo friends: British au pairs who teach you that gluten is the devil, but also delicious, and who teach you about dry humor and cheap wine. East coast Americans who not only get who you are, where you were born, but why you came to Paris and who you want the city to help you become. 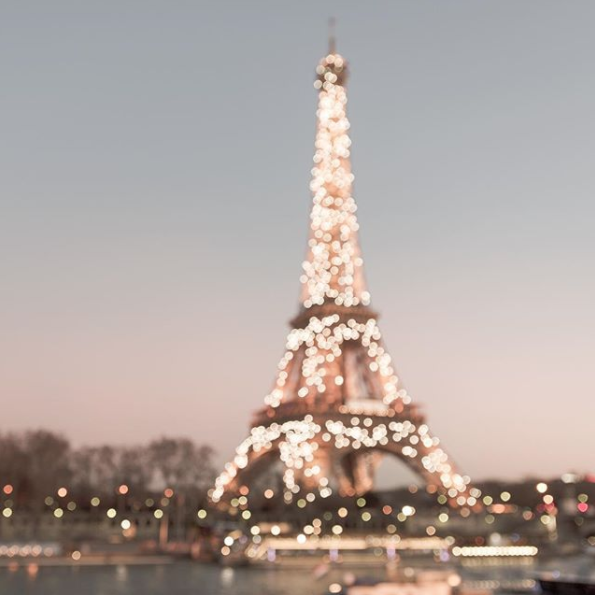 There are very few things I cherish more than the memory of early February, rolling over to catch a glimpse of the Eiffel Tower in the distance, as the falling snow all but erased a early morning sky and left behind a rare calm. 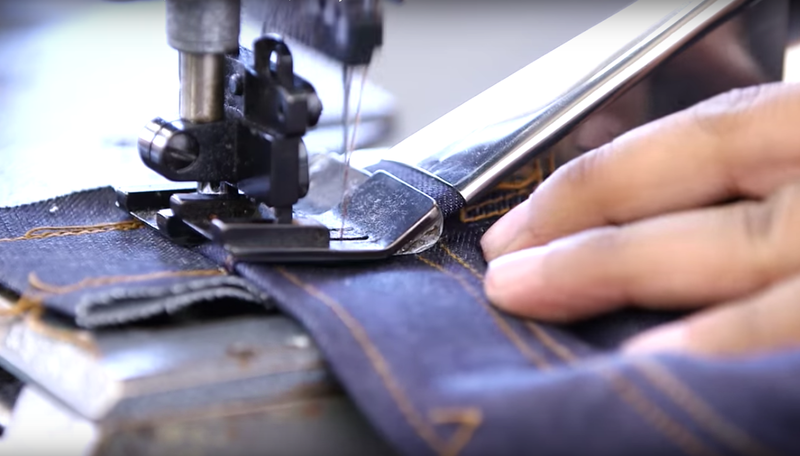 The latest video by Refinery 29 takes a sneak peak behind the scenes of L.A.-based jeaner DSTLD, outlining the various steps necessary in making your favorite pair of jeans. 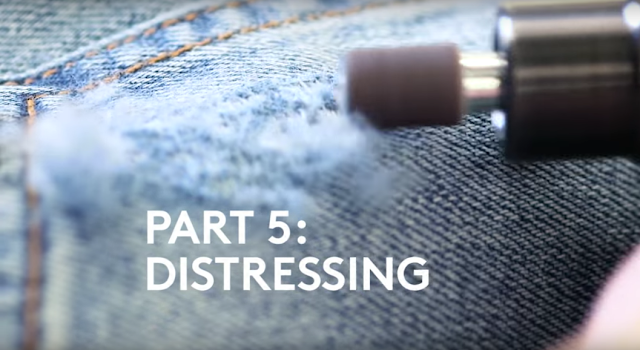 Start off your day with a look at the different processes that ensure the perfect pair of denim. Patterns are drafted and cut, the pieces then sewn together with the help of a few different mega-machines. Later, the finished products are stone washed or detailed on their way to become the perfect lived-in blue. 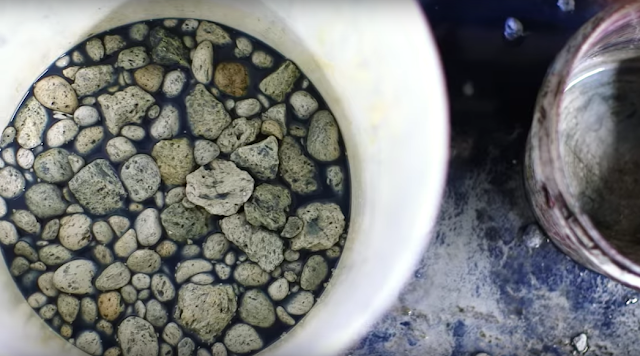 Stone washing softens and tightens the yarn, ensuring that the color does fade or bleed. 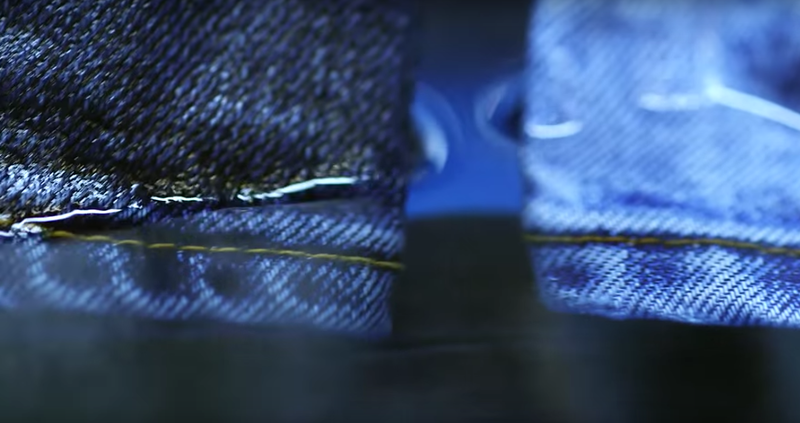 My favorite part: the whirring sander that turns a perfectly woven denim into clouds of blue fluff. 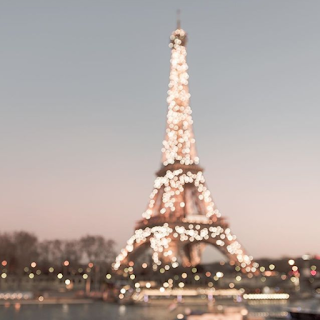 Paris last night was a sunny magical dream that the entire city had been dreaming of for months on end. Walking outside my apartments without the extra layer of winter jacket that my body has been permanently attached to for these past months felt odd--an overwhelming sense of lightness, like when you change purses and feel like YOU MUST BE FORGETTING SOMETHING. In a completely logical series of events, I found myself eating sushi on a sidewalk in the 1ème yesterday. I'd been meaning to try Mobilis in Mobili for some time now after reading a very convincing article on le bon bon that translated roughly said, "cheap good seafood." I am easy to please and so off we went. 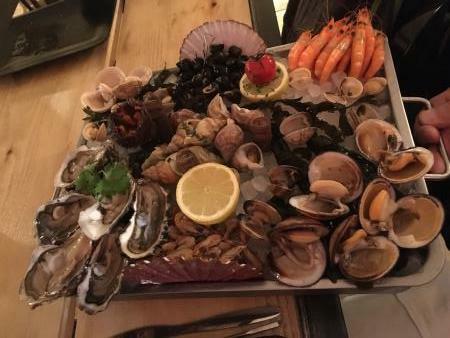 Mobilis in Mobili lets you create your own custom platter of seafood goodness, served on a fancy bed of ice and seashells. A feast fit for a mermaid. Order mussels by the 500g and choose between eight different recipes and broths. We went with marnière which came with funny little waffle fries on top! Decent food, but not the best mussels in Paris. And last but not least, the pièce-de-resistance: squid-ink risotto. Feeling like quite the adult for ordering such a sophisticated offering, my ego shut up after the first bite. It's bad. Really bad. The phrase "we should have gotten fries" was said more than once. For the brave souls willing to try sidewalk seafood, check out their page on lafourchette. I've never really understood Tilda Swinton. 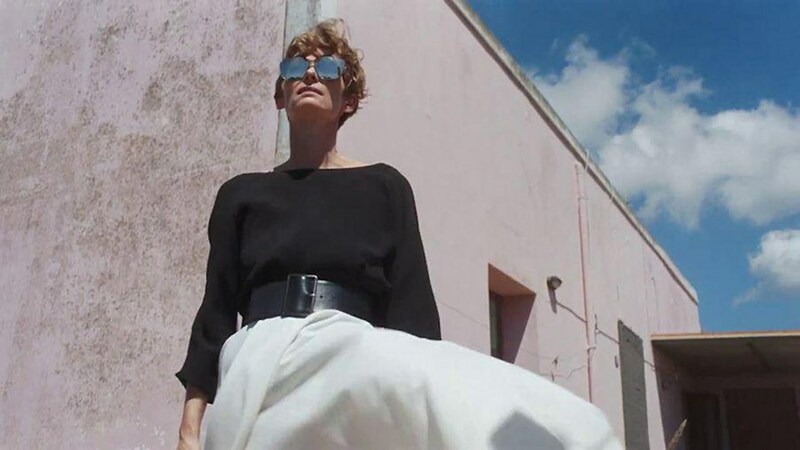 Indie-darling of the jet-set fashion pack, she has a string of well-received films under her belt and yet I've never felt a strong connection to her celebrity persona. Her personal life is the stuff of legends and her androgynous look is refreshing among a sea of extension-ed bronzed barbies. She has two lovers, which is very fashion and she sometimes shows up to fancy events in golden pyjamas. Verrrry fashion. The self-proclaimed fashion expert in me decided that enough was enough; it was time to make an effort to get to know Tilda. The perfect occasion presented itself to me on a transatlantic flight while scrolling through the endless films on Air France. I decided to spend the next two hours watching A Bigger Splash, a decision made much easier by the fact that dreamboat Matthias Schoenaerts would be getting some major screen-time along with Tilda. (Matthias Schoenaerts is a beautiful, beautiful man). Set on the Italian island of Pantelleria, the film centers around the thrilling life and sexual escapades of rock-star Tilda and her beautifully-curated wardrobe, courtesy Raf Simons (chez Dior, à l'époque). Alongside Giulia Piersanti, the design team created an assortment of chic resort wear, minimalist in spirit, beautiful on the big screen. The costume duo does a fabulous job letting the clothing speak and play it's part leaving the mysterious Tilda looking effortlessly glamorous, the modern Dior woman personified. Have you seen A Bigger Splash? What did you think of it? It's that time again: the sales are upon us. Answer the call of the shoes at Net-à-Porter with a few sensible-but-gorgeous picks. Here are a few of my favorite picks for every season: a sherling boot which some attitude by Choé. A pink sandal with no shortage of colored tassels which mean only one thing: they go with everything. Gold bruges with just the right amount of grommets. A shiny pair of black boots with the perfect ankle detail, subtle enough for any outfit. Comfy knit sneakers that look nice and the lace-up pair of Christy flats from Aquazurra that I've been dreaming about, in cobalt blue. an itinerary in two parts. 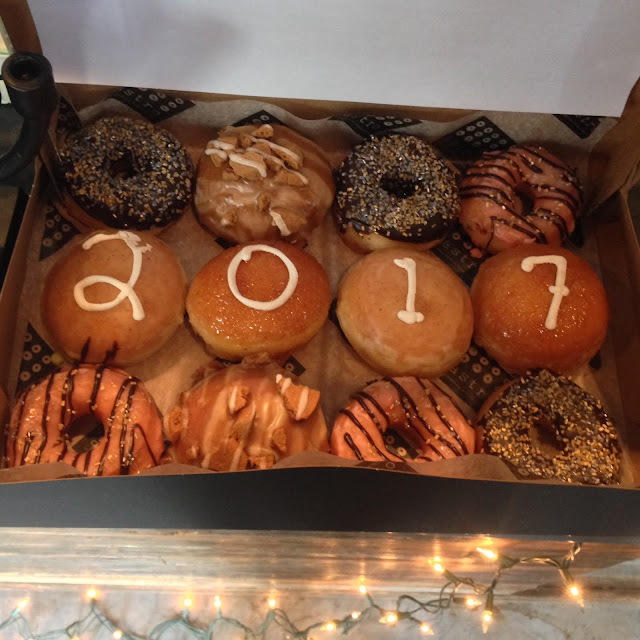 Ring in 2017 with a heavy brunch of doughnuts and fried chicken at Astro Doughnuts. 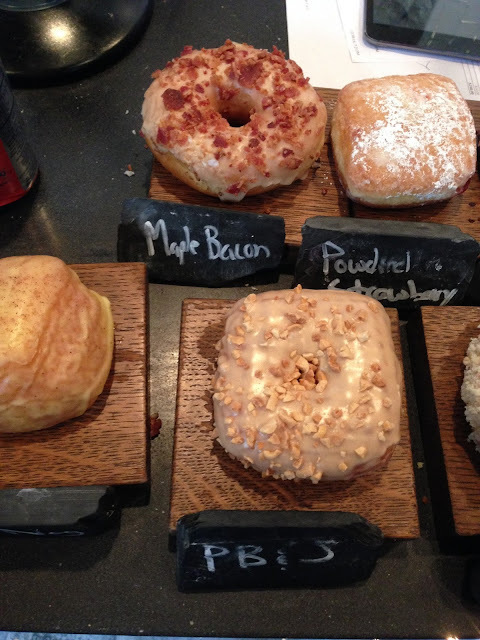 Among the delicious offerings : maple bacon, bourbon eggnog, and pb&j. As with most bakeries, seasonal flavors tend to change. Once you've had your fill (and have reached the brink of cardiac arrest) make your way towards the newly renovated Renwick Gallery and check out the current exhibitions.